The theme of February is sheer disorganization and indecision. Abandoning one path and going an uncharted way is bone-chillingly terrifying. But coming out of Feb, I've clarified my path and decided on the steps to take for my new businesses to thrive. 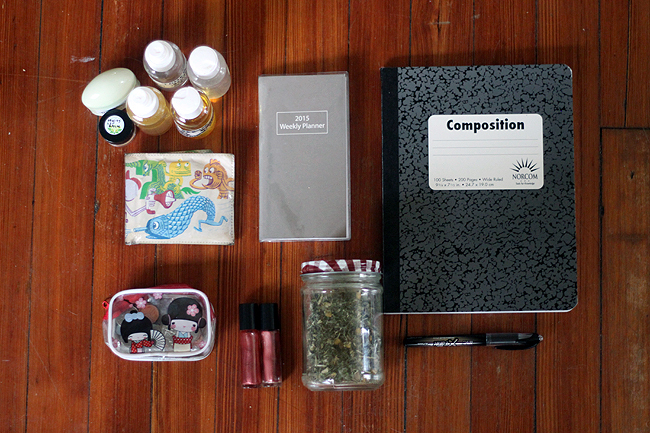 Packing for my herbalism teacher's workshop: bath/body goods and herbal tea blend from my line that I'm testing, wallet, change, schedule and notebook to stuff full of information and ideas. The biggest accomplishments were: (1) adding a bigger chunk back into my savings account (2) moving most of my merchandise out of southern Crossing Antique Mall (3) finishing my Beginning Herbalism and Nutritional Herbalism courses (4) hitting the gym nearly daily/starting my first group fitness classes (5) finishing another clarifying session with my awesome business coach and (6) getting more clutter out of my apartment! Soft opening for my body care line Decided we weren't ready yet. Not gonna rush it! 5 photoshoots/interviews NOPE! Scheduled interviews but they didn't happen. 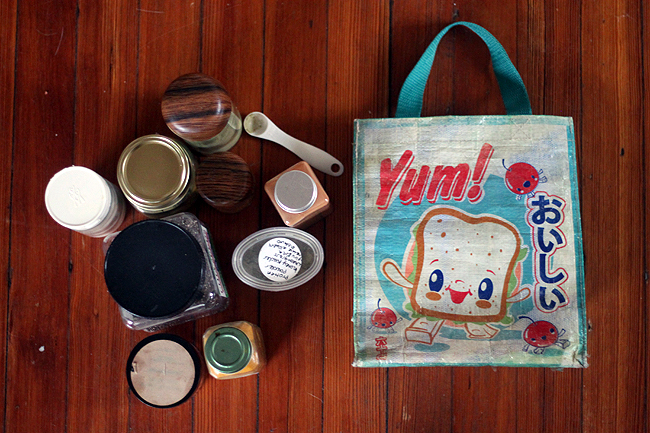 Re-shoot ALL current merchandise for Etsy. Cancelled. Get progress on my art lines, move along to the next step. Cancelled. From now on, art's for fun. Move focus make to profit in February, will share the results. Ended the month with more profit. 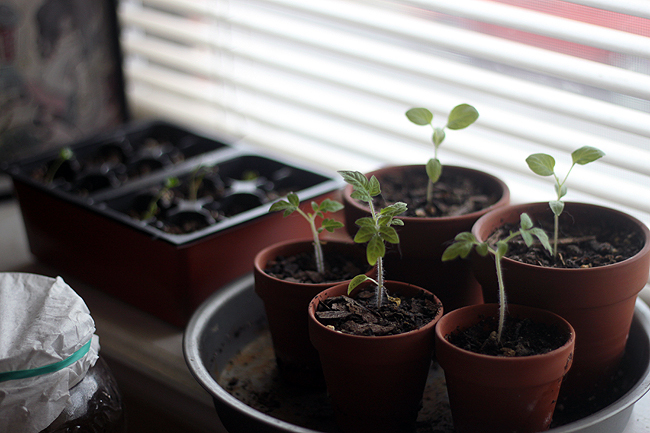 Compare the seedlings to how tiny they were last month! My roomie and I are starting gardens in multiple spaces. And as always, I'll be working behind-the-scenes on testing body core products (like tea mixing) and personal health adventures. Fails/Issues to Adjust: Oh, this poor blog! Being at a business cross roads makes it very hard to post the informative, beautiful posts I crave. Posts are less, and simpler, for now, but changes are on the horizon. Sorry for the increase in typos lately as well, there were a couple of days of rushing due to poor planning that won't happen again. I'm excited to put more dedicated time into my blog ASAP. Right now I'm out-of-town in Palm Coast for an extended teaching workshop for Green Lotus Studios. Donna, the owner, generously purchased a luxury rental at Hammock Beach for all of the studio's teachers! We'll be cooking all of our own food. We're a group of herbalists, so this will be interesting! I'm packing my current favorites: curry powder, cayenne pepper and onion powder for savory meals and bee pollen, wheat grass powder, stevia powder, cinnamon and chia seed for smoothies. I'm excited to spend my time there working on projects here 11AM to 2AM! For now it's /Comments Off but I'll be back on Wednesday, perhaps with a re-cap of the adventure. I'll post live photo updates while I'm there on Instagram and Twitter.